We as a cement plant manufacturers provide turnkey solutions in India, We also supply all type of cement plant machines and material handling equipments to South African countries, UAE golf countries including India. We are India’s largest Turnkey Cement Plant Manufacturer and Equipment suppliers in India offering wide range of Cement Plant equipment under one roof. We are leading heavy industries consulting organization and always working on latest technologies to increase production, durability and environment. We are manufacturers, providers and exporters of all type of cement plant & equipment like Mini Cement Plant Manufacturer, Cement Ball Mills, Rotary kiln plants, clinker plants, Portland cement plants and VSK cement plants. We are working on technology that we set up has its own intrinsic worth. Cement plant functions with lesser power and fuel consumption, which has made the cement manufacturing procedure very economical. As Cement Plant Manufacturers, our designing architecture and construction are planned and made to outfits the circumstances where the plant is to be installed. We provide erection and commissioning consultancy support for all equipment either supplied by us or purchased from outside vendors. We supervise the trial running of plant with providing training to personnel involved in running of plant. Cement Making is a integrated process that prepares the raw mix, feeds it to the pyro-processing system (kiln), and then grinds the clinker from the kiln system into various cement products. Now finished product is called cement which is stored in large silos on site or bagged for small quantity use. The cement is shipped by truck, rail or barge to customers, or to regional terminals for customer pick-up. 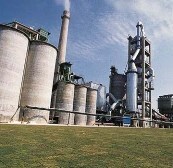 Most cement plants have quarries located nearby to supply the limestone and other raw materials. Cements are a substance that binds other material together. Cements are a binder that hardens and sets independently. Cements are strong building material that can face any natural and artificial environmental effects. We manufacture and supply all type of Cement Plant Machines and process equipment like Cement Plant Crushers, separators, vertical rollers, kiln and shells, bucket and chain belts etc. 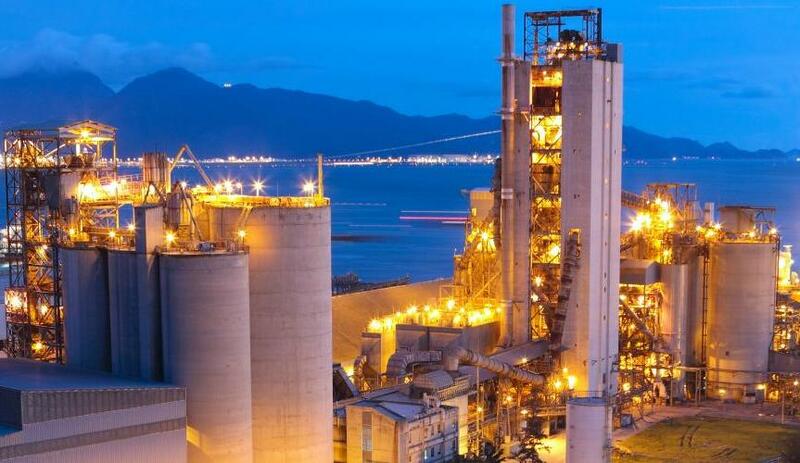 The objective of Cement Plants Equipments is to improve the product quality. The raw material used in cement plants are sand, clay, limestone, shale, and iron ore. Cement plants require areas where infrastructure rehabilitation is necessary. Cement manufacturing as a procedure and as a big production has undergone many phases of makeover in current times. Ashoka Cement Plant is one of the big name comes in cement plant manufacturers which holds in-depth province understanding of the cement industry and therefore, is operational to present personalized service which is directed to meet the cement plant manufacturing requirements of customers from cement plants. Ashoka Group is consistently engaged in advance technologies, design architecture and development of Cement Plant. We are following international quality conscious approach as well as undertaking stringent measures and deliver best technology and durable process equipment & machineries. We are manufacturers, providers and exporters of all type of cement plant & equipment like Mini Cement Plant Manufacturer, Cement Ball Mills, Rotary kiln plants, clinker plants, Portland cement plants and VSK cement plants. The technology that we set up has its own intrinsic worth. The plant functions with lesser power and fuel consumption, which has made the cement manufacturing procedure very economical. As cement plant manufacturers, our designing and construction are planned and made to outfits the circumstances where the plant is to be installed. We provide erection and commissioning consultancy support for all the equipment either supplied by us or purchased from outside vendors. We supervise the trial running of plant with providing training to personnel involved in running of plant. Ashoka Group is a leading cement manufacturing company which specializes in quality turnkey projects of cement plants, fertilizer plans, heavy equipment setup etc. Apart from our specialization in cement manufacturing activity, we also expertise in trade of cement plant material handling equipments like belt conveyors, rotary kilns, ball mills etc. Ashoka manufactures high quality turnkey cement plant. We expertize in designing and supplying ball mills for different cement industries. Our company expertizes in strong and heavy fabrication with large workshop in our plants in India. Our Company is leading manufacture of rotary shaft kilns that are designed from varied materials. All rotary shaft kilns designed here are impeccable heat exchangers where heat is conveyed in different ways. We manufacture kilns that feature detailed accuracy and precision. Each of our kiln is extremely durable and product of expert’s attention to each detail. At Ashoka, we are leading exporters, suppliers and manufacturers of vertical shaft kiln. These shaft kilns feature continuous process with temperature of 1500 degree Celsius. Ashoka Group manufacturers and supplies high quality cement grinding units with every cement plant. 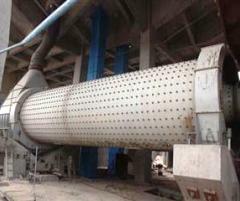 Thee grinding units can also be provided for different other cement plants. We supply clinker cement units up to two thousand TPD plants which are capable of handling various kinds of cement. All of these products are engineering to cater the stringent domestic and international standards of cement manufacturing companies. We use advanced technologies and machines for manufacturing these cement plant handling equipments. Our team of professional and expert engineers use state of the art CAM/CAD facility and provide tailor made solutions which are based on client’s needs based on different applications. We have a strong satisfied customer return ratio. With the advanced and modern cement plant handling equipments we are empowered to manufacture quality and different kinds of cement plants. With our set objective to focus on product quality and improvement, we produce cement plant handling equipments which are environmental friendly. As we all know that cement is a material with adhesive and cohesive properties which make it capable of bonding minerals fragments into a compact whole. For constructional purposes, the meaning of the term “cement” is restricted to the bonding materials used with stones, sand, bricks, building stones, etc. At Ashoka, We want to explain you that Cement is made from limestone and clay or shale, raw materials are extracted from the quarry crushed to a powder and then mixed or blended in the correct proportions. This mixed raw material is called the kiln feed. The raw material is heated in a rotary kiln mill, where it reaches a temperature of about 1400 C to 1500 C. In its simplest form, the rotary kiln is a tube up to 200 or 300 meter long and perhaps similar in diameter, with a long flame at one end. The raw kiln feed enters the kiln at the cool end and gradually passes down to the hot end, then falls out of the kiln and cools down. The material formed in the kiln is described as ‘clinker’ and is typically composed of rounded nodules between 1mm and 25mm across. After cooling, the clinker may be stored temporarily in a clinker store, or it may pass directly to the cement mill. The cement mill grinds the clinker to a fine powder. A small amount of gypsum – a form of calcium sulfate – is normally ground up with the clinker. The gypsum controls the setting properties of the cement when water is added. source of silica and alumina. We Manufacture all type of cement plants, Cement manufacturing is A process includes multiple stages, Ashoka’s Cement Plant division holds the deep knowledege of all type of cement plant processes related to raw material to final bags production. We delivers best quality cement projects most reliable, cost effective, energy savings and provide best cement, We have supplied and installed various cement plant projects in India, golf countries, south africa. Our heighly qualified and experienced engineers and technical designers and consultants dedicated with client’s requirement to give best architecture plant design, fabrication and construct all the required conditions for the plant installation.